Fact to Fiction- Learn about stories that inspire great books! 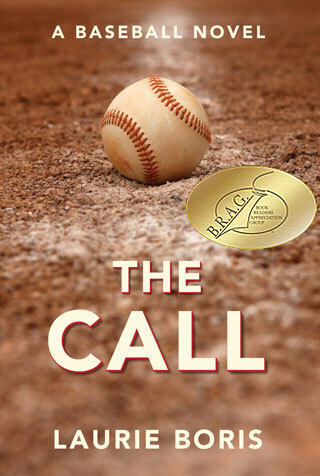 When I started writing my novel The Call, only six female umpires had worked in professional baseball, none of them at the major-league level. In 2016, I found that fact hard to swallow, so I wanted to explore it in fiction. As a lifelong baseball fan, I thought I’d absorbed enough knowledge to write about the game. But I had to know a lot more facts before I could write realistically about the people playing it. Especially during the time period I had in mind, the early 1980s, when there had only been three other women who’d taken the field in umpire blues. The story itself—because fiction needs a good story—began with another fact. On October 11, 2015, Los Angeles Dodgers second baseman Chase Utley made a late (and borderline illegal) slide into second to try to break up a double play. 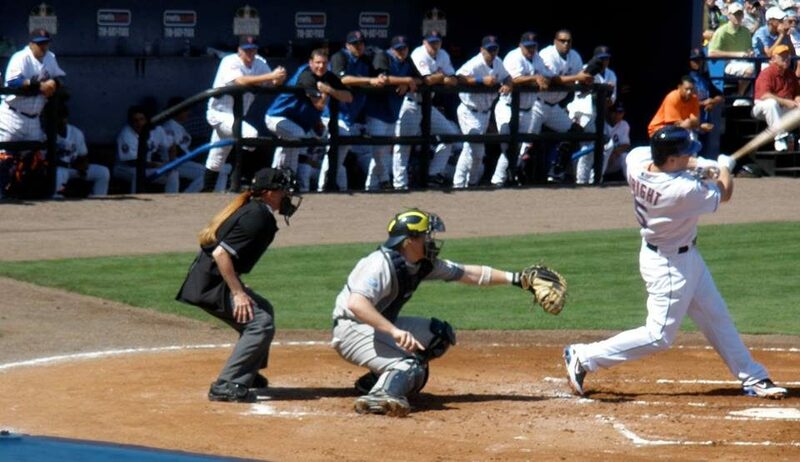 In doing so, he broke New York Mets second baseman Ruben Tejada’s leg. Utley was given a two-game suspension that was later overturned. Major League Baseball then ruled slides like Utley’s illegal, but Mets fans like me were still steaming. That’s when I knew I had to write about it. And that I wanted to write the novel from an umpire’s perspective. But I’d never been an umpire before. I had my rulebook and was pretty good at calling plays on TV, but that’s no match for what actually goes on when someone is trained, puts on the uniform, and works the games. At these schools, not only do candidates study the rules of baseball and practice how to make calls, they learn complex choreography involving where they should position themselves to get the best view of an impending play. In the lower minor leagues, only two umpires work each game: one behind the plate and the other covering the bases. That’s a lot of ground for only two officials. 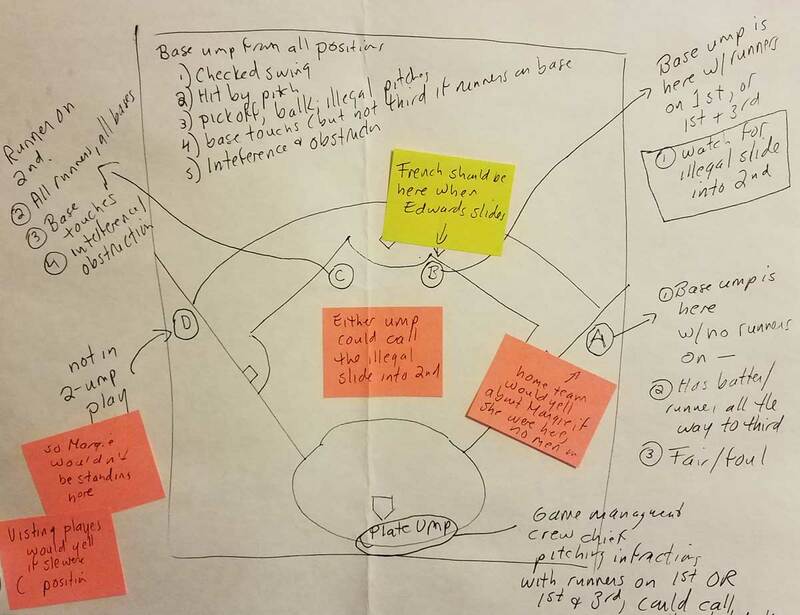 As an umpire moves up in the leagues, the choreography becomes more complex. Back then, it wasn’t until you worked Triple A (one rung below the majors) that you had a three-person crew. Major League games have four-ump crews during the regular season. You had to know which base to cover and when if you wanted to make good calls and keep your job! To better understand how the system worked, I read As They See ’Em, a memoir by Bruce Weber, a sportswriter who went through umpire school, and I also studied umpiring websites. I created a chart for myself so I’d know where my character, Margie, would be standing at any point during the game. Since the story also involves Margie’s twin brother, Tim, a pitcher with superstar potential, I needed to know more about what pitchers go through to get the job done. I practiced the grips used for various pitches. I paid more attention when I watched games on TV. Some announcers, particularly my favorites, Ron Darling and Nelson Figueroa, both former pitchers, often shared their professional knowledge during and after the games. I also had to know about the teams. You can get away with some “creative license” while writing fiction, but die-hard baseball fans will tag you hard if you don’t have the basic facts right. I had to know about the teams that existed during that time period, where they played, where their minor-league affiliates were, how they travelled, how they trained… Yikes! Fortunately, if you find the right websites, baseball stats going back decades can be at your fingertips. I also was lucky enough to meet 30+ year veteran umpire Perry Barber, a tireless advocate for getting women into the game, and she suggested I join SABR—the Society for American Baseball Research. I met some great people at their yearly conference and got many of my questions answered. Last but absolutely not least, I needed facts about the brave women who were the pioneers in trying to break what Perry calls the “stained grass window.” I needed to know who had come before Margie, and what those women had experienced. I thought some of the borderline abusive treatment I put Margie through might be over the top, but from what I learned, some of the incidents and worse actually happened. But let’s end this exploration into the facts on a more positive note. As of this writing, there are two women, Jen Pawol and Emma Charlesworth-Seiler, working their way up through the minors. The MLB is now actively encouraging women to get into the system. Maybe they’ll break that stained grass window after all. 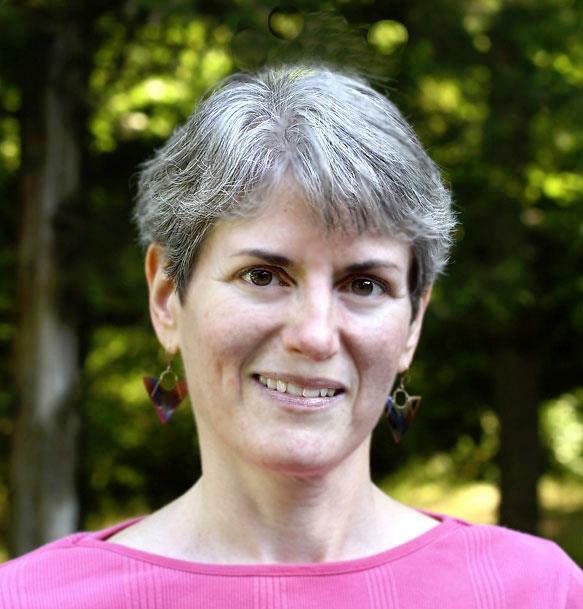 Laurie Boris is a freelance writer, copyeditor, and author of seven novels, three of which wear a B.R.A.G. medallion. When she’s not playing with the imaginary people in her head, she likes reading, watching baseball, and avoiding housework. You can learn more about her at her website, http://laurieboris.com. She has now forgiven Chase Utley and moved on…mostly. The Call was recently accepted into the permanent archive of the National Baseball Hall of Fame in Cooperstown, New York. Thank you for letting me share my story here! Thanks for sharing such a fascinating story Laurie! That chart is a work of art. So glad you saved an image of it so your readers can see how complex and fluid a two-umpire crew’s mechanics and positionings actually are. You took such a deep dive into umpiring while researching your book, I’d like to ask you a question: do you want to work the bases with me this weekend? I think you’d make a fantastic partner! Wonderful backstory to your story, Laurie. Keep Rockin’ and Rulin’! Wow, Laurie! I can’t even imagine all the cool facts you learned that didn’t make it into the book (or this post). Have you thought about writing a non-fic book with more details about your research? I’m a baseball fan and I have to say the premise of this book grabbed me immediately. I’m looking forward to reading it.